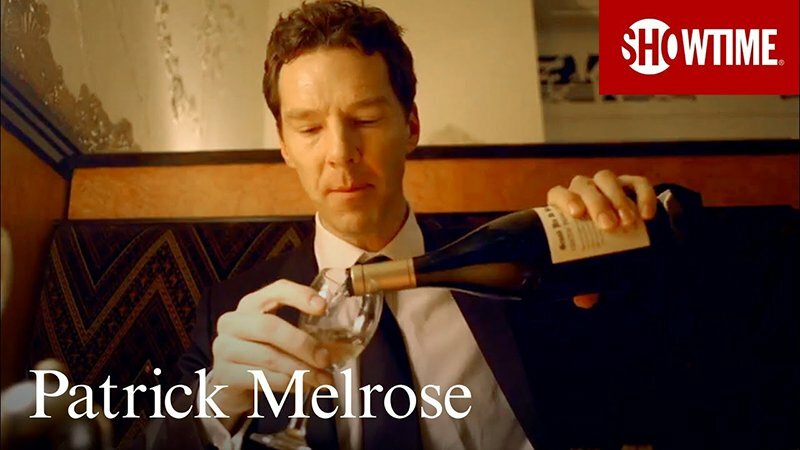 Showtime has announced that its new, five-part limited series Patrick Melrose starring Oscar nominee and Emmy winner Benedict Cumberbatch (The Imitation Game, Sherlock, Avengers: Infinity War) will premiere on Saturday, May 12 at 9 p.m. ET/PT. A new sneak peek for the series has also been released, which you can view in the player below! Based on the acclaimed Patrick Melrose series of semi-autobiographical novels written by Edward St. Aubyn, Patrick Melrose is an acerbic and fearless look at the protagonist’s harrowing odyssey from a deeply traumatic childhood to his remarkable survival as an adult. In scheduling Patrick Melrose for five consecutive Saturdays, Showtime is laying the groundwork to expand a new night of original programming, joining the network’s existing sports and movie offerings on Saturday nights. In a tour de force role, Cumberbatch plays the titular character who struggles to overcome the damage inflicted by a horribly abusive father and the mother who tacitly condoned his behavior. Academy Award nominee Jennifer Jason Leigh (The Hateful Eight) and Screen Actors Guild winner Hugo Weaving (The Matrix trilogy) also star as the parents of Patrick Melrose. Rounding out this accomplished cast are Anna Madeley (The Crown), Blythe Danner (Meet the Fockers), Allison Williams (Girls), Pip Torrens (The Crown), Jessica Raine (Call the Midwife), Prasanna Puwanarajah (Doctor Foster), Holliday Grainger (Bonnie & Clyde), Indira Varma (Game of Thrones) and Celia Imrie (Bridget Jones’s Baby). Each episode, devoted to one of the five novels, is written for television by BAFTA Award nominee David Nicholls (Far from the Madding Crowd, One Day) and directed by celebrated film director Edward Berger (Deutchland 83, Jack). A co-production between Showtime and Sky Atlantic, this gripping and humorous saga encompasses the South of France in the 1960s, New York in the 1980s and Britain in the early 2000s. Patrick Melrose is executive produced by Michael Jackson and Oscar nominee and Emmy and Golden Globe-winning producer Rachael Horovitz (Moneyball, Grey Gardens). Jackson, the former Channel Four and IAC executive, recently formed the drama banner Two Cities Television. It will be the company’s first production. Cumberbatch will executive produce along with Adam Ackland for SunnyMarch, and Helen Flint serves as executive producer for Little Island Productions. The post Patrick Melrose Sneak Peek and Premiere Date Revealed appeared first on ComingSoon.net.